This textbook introduces the reader to what managing change is all about. Change is the only constant so it’s important that you know how to manage and drive through change. 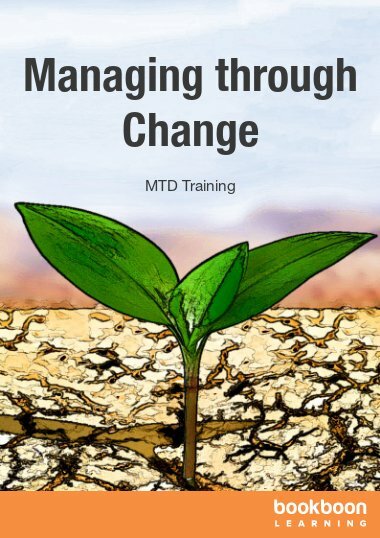 This book introduces the reader to what managing change is all about. Change is the only constant so it’s important that you know how to manage and drive through change. 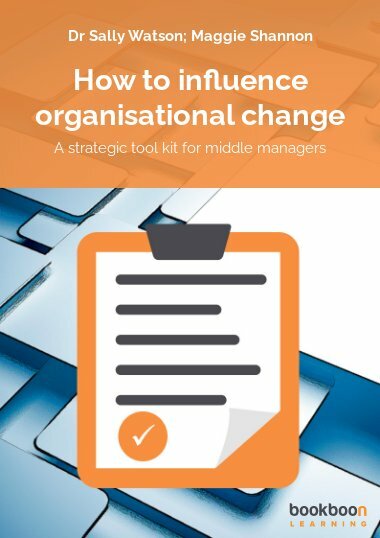 This book covers techniques and strategies on how to manage change effectively, taking into account all of the factors that have impact on others, systems and processes. Each type of change may require a different model for change management. You will want to review the main components of the change you foresee and then select a model for change management which will best suit the change. For example, technological changes such as changing to new software requires different change management strategies than changes in non-technological areas. No matter what model for change management you select, they will all generally follow the pattern represented in Figure 6. In the rest of this chapter, we’ll examine four possible change management models. The first two are simple in the sense that they can be used for change in a relatively short amount of time. They are good for both personal and professional changes. The third model is an eight-step model that will be a useful framework for most complex changes you will face in the workplace. You can simply customize it as needed. And finally, we’ll look at a financial aspect of change management, the model of which might just help you convince others of the need for using a formal change management structure. This first change management model is based on a series of facilitative questions that help you ensure that you have ‘covered all your bases.’ These questions were designed by Sharon Drew Morgen as part of her work on innovative change and decision-making. The questions form a sort of checklist that you can use to both help prepare for change and to guide you through the change. The questions are presented in Figure 7. This model is rather informal, in that there may not be distinct ‘breaks’ between the phases of the model. You may find yourself going back to earlier questions as you answer later ones. But as a guideline for relatively simple changes or those impacting a small number of people or with a small level of risk, this is a quick way to gain management over a change. One other interesting aspect of using this tool is that you have a history of your experience in managing change. You can use it to compare what you thought at the beginning of the process to how the process actually unfolded in reality, making this a valuable learning tool as well. In this model, change is treated as if it is a conflict that needs resolving. You might perceive change as a conflict, or you team might, or other stakeholders might. You might have disagreement over how the change should be implemented, who should do it, or by when. In any case, you can use this model if you have conflict around the change. The AAAbc’s model considers conflict resolution to actually be a form of decision-making, where you get to decide how to respond to the change. The acronym that serves as the name of the model is used to remember the steps involved. The model states that when you are faced with change or any sort of conflict, you have three main choices. These are represented by the A’s in the model name. You can choose to alter the event, avoid the event, or accept the event by either building resistance (the b) or changing your perception (the c). Let’s look at each of the steps in a bit more detail. When you seek to alter the source of the conflict, you would be altering the aspects of change that could be resulting in the conflict. This could be the opportunity for you to receive feedback from all of the stakeholders involved. Perhaps there is something missing from your proposed change. Perhaps one of the other stakeholders can offer an alternative that still achieves the objective of the change but removes the conflict. •	Engaging in problem-solving – what is the root of the problem (the conflict around the change) and how can you solve it? •	Communicating – is the conflict actually a conflict or simply a misunderstanding? •	Planning – can you implement the change in a more structured way that will help resolve the conflict? •	Bargaining – can you make any compromises in order to reduce or remove the conflict? •	Affirming – do stakeholders need affirmation that other aspects of your work processes will not change? This option isn’t exactly what it sounds like – sticking your head in the sand and actually avoiding conflict can cause more harm than it can good. Instead, the idea of avoiding conflict around change refers to avoiding the stress that is associated with change. You could interpret this in several ways. Perhaps you state the change as an unalterable fact, so that conflict about whether or not it will happen is not an option. Or perhaps you set limits around the conflict, letting people know what you will and will not be open to discussing regarding this change. Because of the autocratic nature of this method, it should be used sparingly. For example, you could use it for changes where law, regulations, or other severe restrictions have forced your organization to make the change. 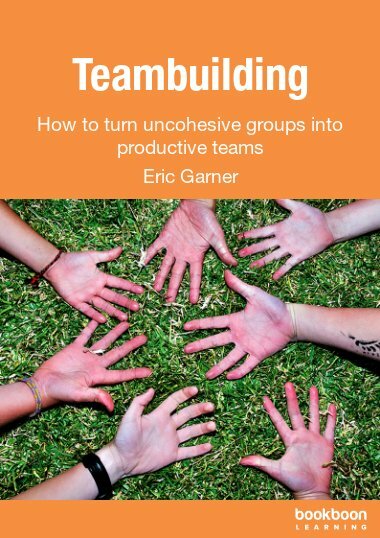 Or, use it for situations where the change is a form of correcting the behavior of employees or teams. Otherwise, you risk having unhappy employees who will take much longer to move towards the ‘commitment’ phase of change. Finally, you can simply accept the fact that there will be conflict around the change. You plan for handling as much of it as you can through communication and other means, but you recognize that you are still going to have to deal with some conflict. There are two ways that the model suggests you accept the conflict – either build up resistance to it or change your perceptions. Building up resistance could be literal, in the sense that you could learn to take the conflict in stride and not allow it to interfere with your work or with your relationships to your employees. Or, it could mean that you build up resistance within the team by slowly working to convert your employees to ‘believers’ in the change. Build up their resistance to the negative talk around the change by focusing on the positive aspects of it and rewarding positive behavior. You might find that you have to repeat some of the steps as your team cycles back and forth between wanting to avoid, alter, or accept the change. Your job is to keep moving towards acceptance, and eventually getting your team there as well. In this model, there are eight steps, or ‘success factors’ to consider in preparing for and implementing change. If the organization is able to perform the factor well, it is a strength in their change process. If the organization is not able to perform the factor well, that item results in a level of risk that should be mitigated. •	Identify what is driving the change – is there a specific, tangible, business-related need? •	Link those driving forces to the clients, customers, or larger business picture – why is this important for us to keep doing what it is that we do? •	Determine which is higher: the price of change or the price of staying the same? This doesn’t necessarily mean financial price – it could refer to costs in energy, time, manpower, image, market share, or other dimensions of cost. •	Identify a means for compelling action now – is this urgent? Is it time bound? Is there a competitor about to launch a similar service or product? Why does it need to happen now? Remember the equation of change? C=DxMxP? If you demonstrate the business need for the change, you are actually demonstrating why there should be dissatisfaction with the status quo. Plus, allowing others to understand why the change is being done also makes them informed partners in the change who may identify stumbling blocks before they happen. If your organization is not able to complete this factor successfully, you risk there being misunderstanding that lead to poor implementation, general reluctance to go through with the change, or failure to recognize other advantages that the change might confer. 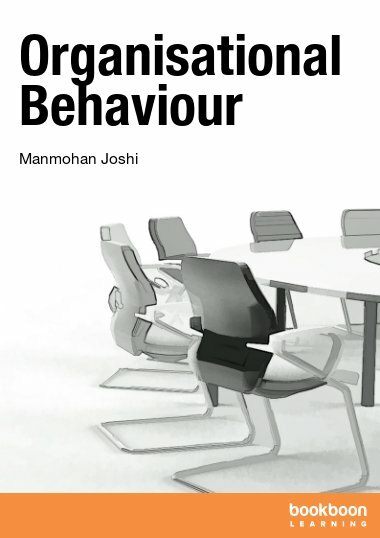 •	Explain how expectations for behavior, culture, or other aspects of the work environment will be different after the change. It’s only human nature that people want to understand how change will affect them as individually as well as their work groups, divisions, and the organization as a whole. The better your organization is at painting the ‘future picture’ of the work world after the change is implemented, the better chance you have the people will begin to see the change as a possibility for new achievement rather than a negative event over which they have no control. If your organization is not able to paint a clear vision for the future, expect problems. It would be like handing a dozen people directions to a dozen different points and somehow expecting them to arrive at the same location. Without a clear vision, your employees will have no way to know whether they are performing well, and you will have no grounds for expecting anything different. Additionally, it’s not enough to have one way of stating the vision. Ideally, you can alter your description of the future based on who your audience is. For example, the IT staff will be concerned about new software that will be needed and how their daily workload will change in supporting it, whereas the sales team will want to know all the bells and whistles of the new product and how the opportunities for selling it will affect their compensation. Giving the IT people the salespeople’s information wouldn’t make much sense, nor vice versa. •	Leaders experienced at managing change? •	Knowledge learned from past changes? •	A framework or plan for managing the change process? •	Self-sufficiency in the different divisions that will sustain the change? •	A way to make sure knowledge from the ‘old way’ isn’t lost? •	A commitment to develop its professionals in order to make future change easier? The organizations that are the most successful at managing change are those who don’t forget the lessons they learn each time they face a change process. They recognize that change is not an isolated event that they need to manage one time and then forget about. Instead, it should be an ongoing expectation that is viewed as a learning process. As you manage change, you build managers and teams who get good at handling change. Then each successive change should be able to be implemented in faster and faster timeframes – or at least without time lost due to repeating past mistakes. If you don’t learn from past mistakes, you are doomed to repeat them. In addition to wasting resources, it saps energy and confidence from the workforce who is required to follow you through this process. If you lose the confidence of those you are leading through change, you can expect more resistance, concern, and stress the next time around. •	Have multiple ways of delivering the message? •	Reinforce the communication by secondary means? 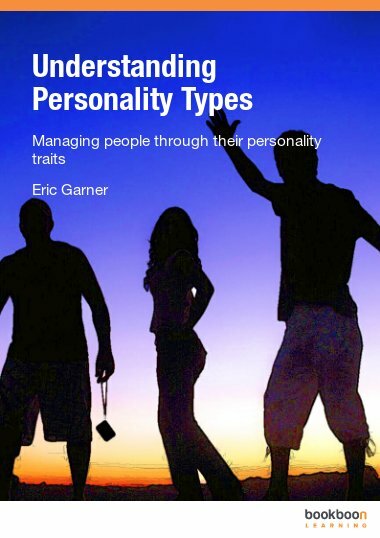 •	Assign certain leaders to be responsible for disseminating information? •	Provide means for two-way communication? Communication doesn’t just happen. People learn in different ways, assimilate information in different ways, and learn at different speeds. By making sure that you offer the information in a variety of ‘flavors,’ you increase the percentage of your audience that will hear it. When the information is shared, fear that comes from ignorance is eliminated. When understanding is widespread, the momentum around the change will accelerate. On the other hand, failure to communicate the information thoroughly will lead to inertia. People will not know what to do, so they won’t do anything. Or they will act with incomplete information and create problems that could have been avoided. With clear, consistent, thorough information, your employees will trust you as an authority and will have less trepidation about committing to the change. Plus, good communication prevents poor information from getting out there – it squelches rumors, gossip, and hype. Another consideration in your communication strategy is determining what kind of information will be best received. This depends on where your audience is on their decision to align with the change. For example, initial communications should be focused on raising awareness and making a case for the change. As the process continues, stakeholders will need to know exactly how they fit in to the change – what do they need to know to move forward? And third, as you begin to get commitment, communication can continue to generate excitement and celebrate successes. One problem that occurs in change management is when the leaders are further along on the communication process than the people they are communicating to. It’s natural for those who have been ‘in the know’ to be ready to talk specifics or even to start generating excitement about what they see as possible. But they need to ‘back up’ the communication to the level that the audience is ready to receive. Allow the communication to help ‘catch up’ the audience to your level of knowledge and commitment. Sound time consuming? It could be. But is it smart business sense to involve your stakeholders in the change process? Absolutely. The easiest way to achieve buy-in and to avoid massive oversights is to involve your stakeholders. If they can’t be part of the decision regarding the change, bring them to the table to discuss problem solving, training, implementation schedules, and more. They should be your allies and partners in change. Keeping them out of the loop and informing them after the fact of decisions is a sure way to jeopardize that support. When you are considering your leadership strategies, remember that leaders do not all perform the exact same functions, nor are they necessarily leading the same group of people. There are four basic categories of leadership roles in change management: executive change leaders or sponsors, change leaders, change advocates or agents, and stakeholders. See Figure 8 for a brief explanation of each leadership role. The highest level of leadership, the executive or sponsor level, will also have the highest level of accountability for the change. If the implementation is not successful, it will ultimately be due to poor leadership at this level. The change leader is anyone who is in some formal leadership position within the organization. They have little direct power over the change, but they occupy a position which has them seen as part of the leadership ‘structure’ of the organization. They use their position, influence, and any power they do have to forward the change and to reward those who do the same. Change advocates or agents serve an important role because they can ‘bridge’ the gap between management and workers. They are seen as credible in their area of expertise and can therefore report back to both leaders and workers about how well the change is being implemented in their area. This could be someone who manages change as part of their regular job, someone who is completely familiar with the process being changed, or an ‘end-user’ who will feel the impact of the change first. It could also be a change ‘pioneer’ who has implemented the change already and is demonstrating its impact for others in the organization, including identifying hiccups and successes. Finally, the stakeholder isn’t inherently a leader in the process, but may very well become one. 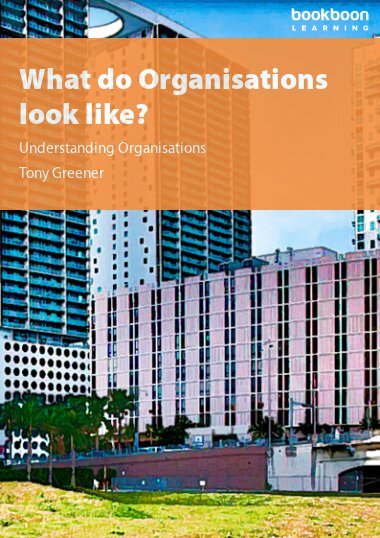 If stakeholders are convinced of the need to change, they will carry that message back to their own departments within the organization or to their own organizations or community groups. It’s important to note that if proper attention, communication, and information are not given to stakeholders, they could become vocal against the change as well. In this success factor, the object is to be sure that all of the components of change have been implemented and integrated. These components will vary from organization to organization and from different types of change, but generally they encompass people, processes, and technology. This step also requires understanding how the change process itself can be impacted by other events within the organization. For example, if your change implementation is underway but the organization then undergoes a major budget revision, this step would require investigating what impact that budget revision might have on your plans. Any of these events may result in the need to scale-back, expand, or abort the change and any expected outcomes. Your change management plan should be flexible enough that it can survive the unexpected roadblocks that you are sure to encounter along the way. Eventually, the change will be implemented across the workforce. But that doesn’t mean that the change process can be considered complete at this point. Unless your business is limited to a repetitive type of service that never responds to the needs of the market or the customer, staff will eventually face situations where they have not yet had to apply the new process, technology, structure, or other facet of the change that you have implemented. •	What support, information, or incentive was missing? •	Why was the new method, product, process, not your first choice? Or if it was, what kept it from being your final choice? •	What do you need in order to implement the new ‘norm’ the next time you face this situation? Notice the language in the questions. They are not accusatory or questioning of the individual. They are exploratory in nature, and in review of the support system that is in place to help your staff choose the new behavior. You will get answers and information that will help you strengthen the environment that supports the change, as well as the chance to demonstrate to the group that you are interested in helping them be successful. In this model, focus is on the financial impact of using change management. It addresses the financial productivity of change management as a measure of revenue over time, based on the rate at which the change is implemented and how quickly people adapt to it. Figure 9 is a graphical representation of how change can impact revenue. •	Speed – how quickly and readily the people involved are able to adopt the change. 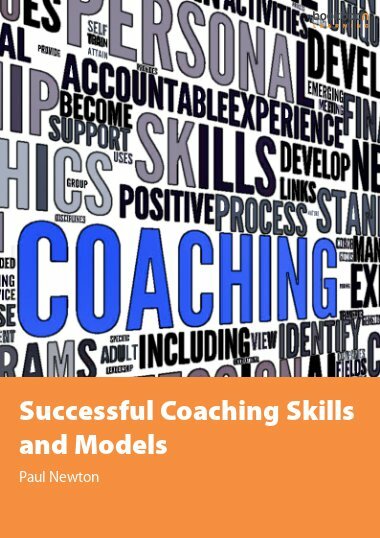 Especially in a small group or organization, where staff feels personally invested in the success of the company, using this model to drive behavior can be effective. If an individual understands how adoption of the change can impact the bottom line, it can serve as powerful motivation for doing so. This model can also be an excellent way to convince senior leaders of the need for the resources you have asked for to help you implement the change quickly. How Adaptable Are We to Change? Complete and concise. It was able to deliver the content that I expected.